Lilya Kas'yanova, one of Kyrgyzstan's finest guides, is passionate about the history, art and craft of her country. A graduate in Linguistics and Intercultural Communications from I. Arabaev Kyrgyz State University, she is also a keen photographer and hiker. Lilya regularly leads Uzbek Journeys tours in Kyrgyzstan. Part 1 of this article was published last week. It provided an overview of headdress customs and regional variations. This second part outlines other headdress variations and describes present-day efforts to keep this tradition alive. In particular, Lilya wishes to express her profound gratitude to Aidai Asangulova for providing much of the information for these articles. In 2013, with the support of the Christensen Fund, a research project Elechek, began in Kyrgyzstan. Using material gathered during the Soviet period, the research found that age and marital status had an impact on headdress. The elechek was braided with ruby cloth for newly married women. Two to three years after marriage, it was thought that "The tide of newly married is over as well as the term of ruby band". 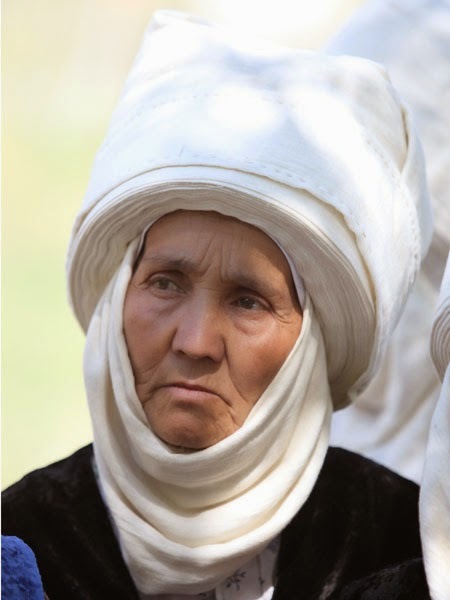 tokol elechek (moderate-size turban) – tokol means "second wife" and in the historical sources, there are references to Kyrgyz polygamy. Elderly women wore kempir kelek, a poorly embroidered elechek. As part of the Elechek Project, thirty women in Kyrgyzstan and the Murghab region of Tajikistan were identified as being able to wind elechek. 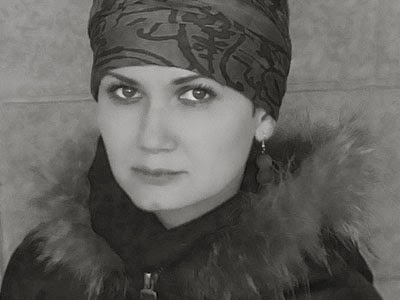 However, thanks largely to people such as as Nisakan Malabekova, a resident of Sary-Mogol village of Alay district in Osh Province, the great, long-standing national tradition of distinctively gorgeous head wear creations is being kept alive. Nisakan mentors her fellow villagers on how to wind kelek or sorogoy (protruding or sticking out), elechek specific for the Alay region. 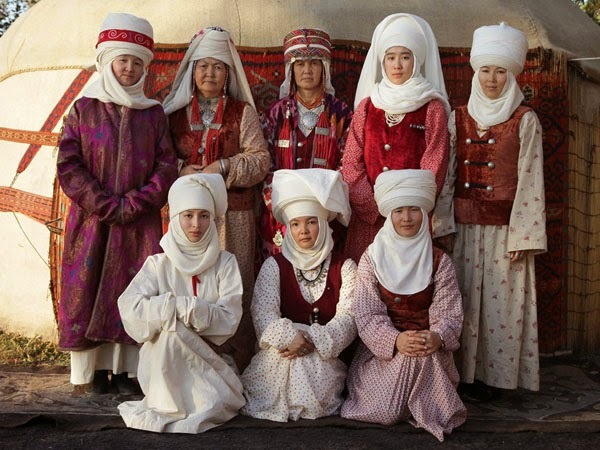 As mentioned above, in 2013 the Elechek project was implemented with the support of the Christensen Fund, to focus on the preservation of this valuable aspect of the Kyrgyz traditional culture for present and future generations. Alay Valley, Southern Kyrgyzstan. Image by Erkin and Arthur Boljurovs. The project working team comprised A. Kalkanova, N. Momunbaeva, E. Tilekov, and was headed by felt maker Aidai Asangulova. They gathered information from the few remaining custodians of the elechek creation method, as well as knowledge about the women who used to wear elechek (or still put it on occasionally). Invaluable knowledge was passed from one generation to the next, i.e. the project respondents inherited the practice from their mothers, grandmothers, aunts and mothers-in-law. 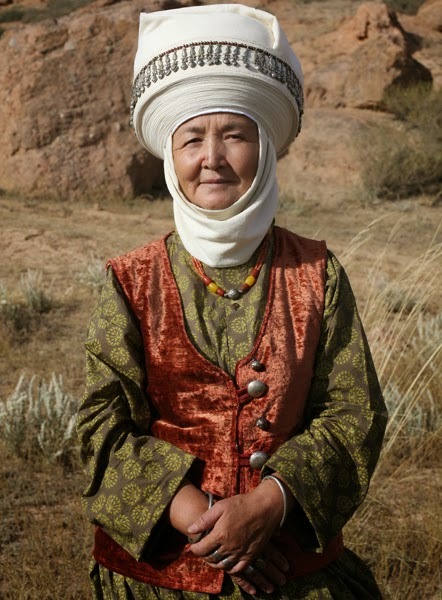 As a part of the research, it was discovered that the interviewees residing in Issyk-Kul, Naryn and Osh, as well as in Murghab Region of the Tajik Republic, possess information on eight types of turban. The eight versions of elechek were then reconstructed. On the basis of other data collected, as well as essential records and images obtained from Soviet manuscripts about the material culture of Central Asian people, five more varieties of elechek were reproduced. The project's closing stage was marked by The Kyrgyz Traditional Elechek exhibition mounted at the Kyrgyz State Historical Museum, in Bishkek, at the end of 2013. Director of the museum, Anarkul Isirailova, reported that the exhibition featured the reconstructed elecheks as well as headdresses in the museum's collection, obtained during the 1920s - 1950s. Historical photographs from the State cinema archives and documents from the collections of the State Historical Museum were also included. Aidai Asangulova, leader of the creative team, will continue researching elechek. A visit to Aidai's felt workshop is included in Uzbek Journeys tours to Kyrgyzstan.